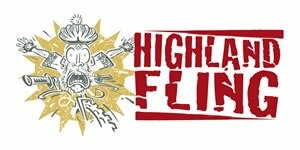 The Highland Fling is one of Australia’s longest running and most iconic mountain bike marathons; enticing countless thousands of riders since 2005 to take on the challenge, often year after year. Why? Because it’s more than just a Fling…it’s a journey. A journey along narrow country lanes and through lush private farmlands. A journey fording rivers and plunging into stunning fern gullies. A journey that snakes through some of Australia’s most renown flowing singletrack and winds across rocky, technical terrain. A journey that rewards riders for climbs with scenic views.